Color Mixing There is 1 product. 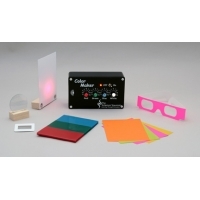 This device, developed under NSF funding, is an easy way to experiment with color mixing. It allows continuous variation of red, blue, and green LED's as well as an adjacent white LED. Colors are mixed on passing through a special membrane. Diffraction gratings are included for direct viewing of the actual spectra. 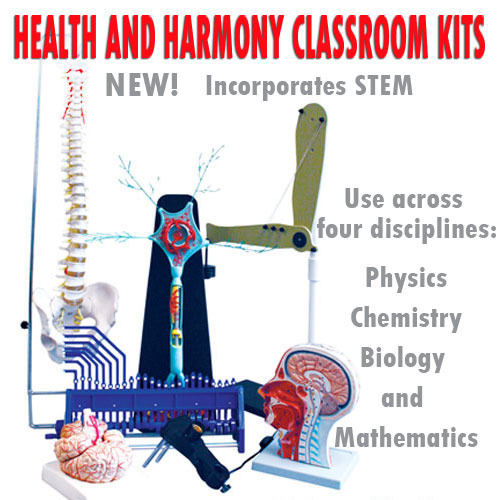 A curriculum guide based on extensive classroom testing is also included. Requires four AA batteries.